I am Aaramba Tamang from Ganesh Himal region, I speak fluent English and have long time experience since porter to guide in the tourism industry. I have kissed some trekking destinations of Nepal with many many countries customers. 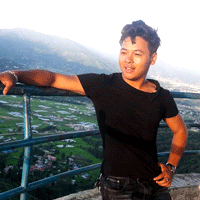 I have experience, climbing, guidings and sight seeing tour of Nepal.